This is a growing bundle for ALL of my third grade ELA escape rooms. I hope to have one for each standard (eventually) but for now, check out which ones are ready to go! 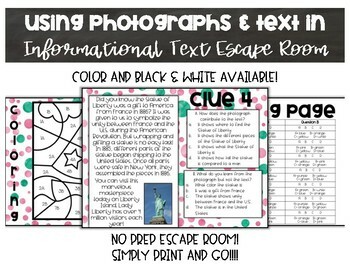 This NO PREP Using Photographs and Text in Informational Text Escape Room is just what you need to teach Using Photographs and Text in Informational Text in your classroom! In this packet, This Illustrations Contributing to Literature Escape Room comes in both color and black and white to save on ink! Use information gained from illustrations (e.g., maps, photographs) and the words in a text to demonstrate understanding of the text. 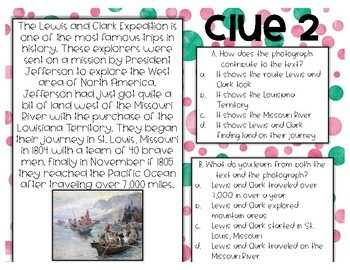 Inside you will find 7 clues that each have their own small reading passage with 2 paired questions about photographs and texts with informational text. 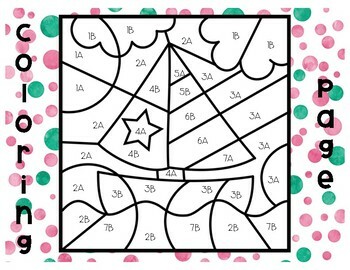 You will find the teacher directions and student directions! After students answer all questions, they color the escape room mystery picture! 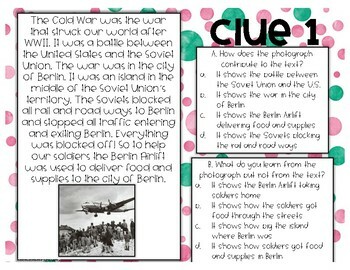 At the end, students check their answers with the key and compare the answer key picture with their own drawing. The winner can then be determined!